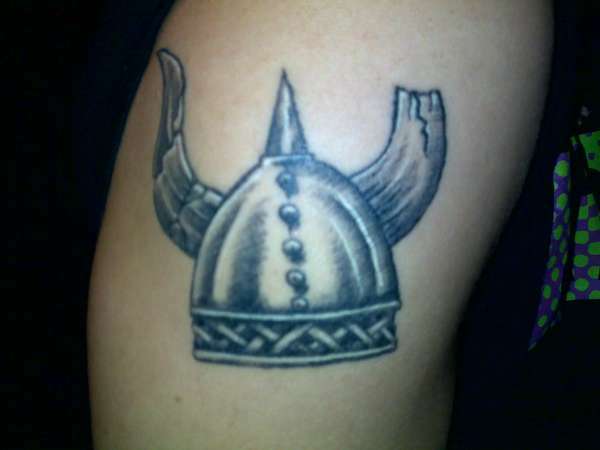 This is my viking helmet tattoo, it represents my ancestors because they were vikings. it took about 45 minutes and it cost me $85. It was done at Alternative Ink in Washington by Clint. It's on my right shoulder.